Few people know the source of the radical change that convulsed the United States during the 1960s. Other than my imagination, in fact, I may be the only person who really knows. Since I am only a few hours of Internet searching away from becoming a full-fledged cultural anthropologist, I felt it I should share my findings with you. Due to time constraints and my boss’ insistence that I show up for work, I will share this in two parts: the introduction and the explication. The pivotal event that led to the revolutionary change in U.S. society happened in October of 1955. Some things happened before that, of course, but if I go down that road, one thing will lead to another, and before you know it, we’ll be talking about the Greeks and Romans: it’s all connected. 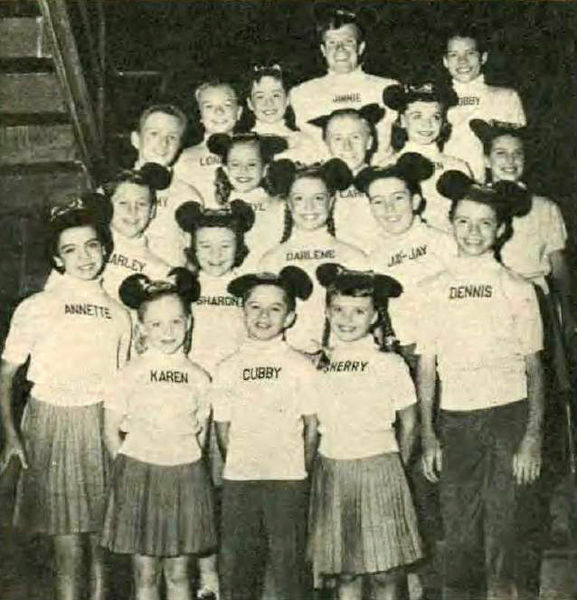 So, let’s just stick to October 1955 when the Mickey Mouse Club first aired. The mastermind behind the show was named after a theme park: Disney. His parents called him Walt for short. For reasons that you’ll understand later, he was born on Tripp Avenue. He also had a childhood. He liked trains and, according the WTF encyclopedia (Wikipedia, the free), he liked to put his ear to the tracks to listen for trains coming. Apparently his sight and hearing weren’t very good, but in this way he developed what people in the arts call a “trained ear.” After dropping into high school, he dropped out. When enough time passed, he produced the Mickey Mouse Club. A raging debate has been going on between me and my imagination about whether Disney knew what he was doing when he introduced America’s children to the Mickey Mouse Club through its theme song. It’s still raging, so I can’t give you a definitive answer. 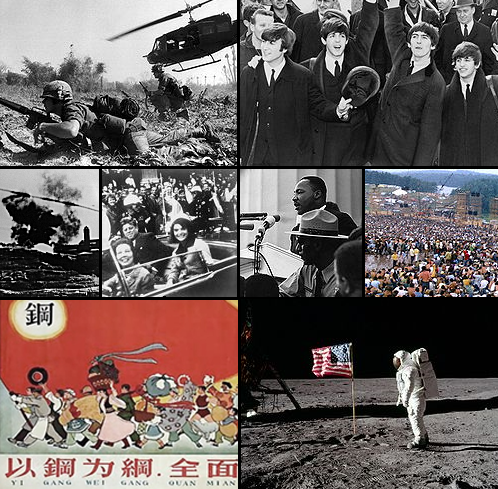 We do know that revolutionary ideas were planted in the minds of millions of children. I tend to believe that Disney had some inkling; he used a lot ink in his drawings. Also, he had a trained ear, so he must have known about the power of song. But before we can get to the explication, which is not even completely written yet, we must note the name of the TV program. Mickey seems like a harmless name, but don’t be deceived. It refers to “a drink laced with a drug” (WTF encyclopedia) that makes a person susceptible to suggestion and manipulation. Mouse also signifies something. Club carries at least two meanings: the benign meaning of an organization of people, and the sinister meaning of a big stick to whack people with. To be fair, and according to my mirror, I am the fairest in the land, I am here only to point out the significance of the song. Personally, I believe that a majority of the ideas propagated by the theme song of the Mickey Mouse Club brought beneficial changes to our society, only a few were negative. But please don’t tell the other cultural anthropologists I said that; we’re supposed to remain objective. Please come back tomorrow for the explication. Photos courtesy of WTF encyclopedia. The show is “This Is Our Life.” I had a friend who said that when he actually entered puberty the image of Annette in the MMC days haunted his dreams…. I can imagine that Annette was the stuff of a young man’s dream. I identified with Karen because she was closer to my age. Probably a lot of girls wanted to be Annette and a lot of boys wanted to be with Annette (for the very reasons you mentioned). A concise and meaningful one-paragraph biography of Walt Disney. Finally! Now I can rest. I’m glad you liked it, Scott. I fear you have implanted the song in my head for the rest of the day…. Hopefully, I can sleep it off tonight and you won’t mention it in the explication. By now, of course, you see that I printed out the song. You will probably be spelling Mickey’s name for weeks. Sorry. Came in handy tonight. Kept me from raising my hand at inappropriately expensive times tonight during an auction fundraiser. So thank you. Thank you. Now I can advertise my blog as a way to save money. As I grew up in a Mickey Mouse Club free zone – MMCFZ – and also as the phrase ‘it’s a bit of a Mickey Mouse operation’ is used in my homeland to describe amateurish and possibly dodgy enterprises – my psyche and the psyches of my fellow country-personages are possibly differently abled to those of our American friends. This probably means nothing but I’m saying it anyway, sorry. Thanks to you…my blogroll is rolling! Thanks so much! Well honestly some parents! Imagine naming your child after a theme park!